The arrival of a mission team is a source of great excitement! 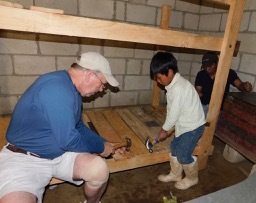 Team member helps a child nail his new bed together. Want to understand the mission better? Join us June 16-23, 2019. $800 due with application asap if you want to be considered part of the group flying together out of Greenville/Spartanburg. Total trip cost: $1450 covers airfare, in-country transportation, lodging and meals. Final $650 due by the end of April. No special skills are necessary to become part of the team except a willingness to serve as needed and a go with the flow attitude as things might not always go as planned. 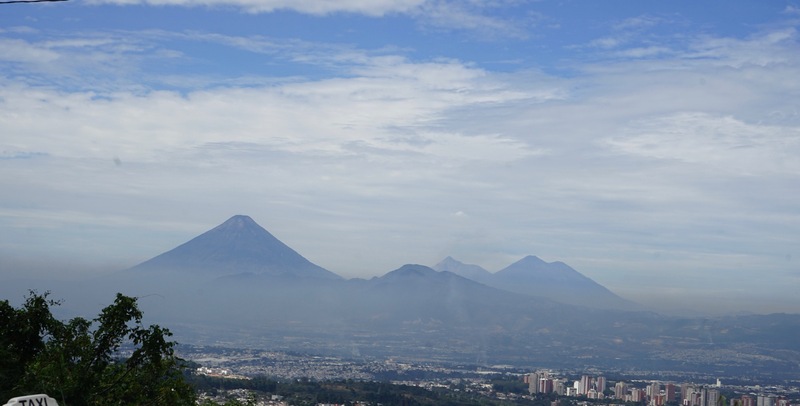 Trip payments are non-refundable; however, all mission trip payments qualify as charitable deductions. Click take me to the event sign up page left for more information about what we will do on the trip. I can't go but would like to make a donation toward the supplies you need. Our team will be working in the church/school community of La Promesa supported by Matthew 2540. Our project time will be spent in construction, running medical clinics, tutoring, reading with the children and doing activities.